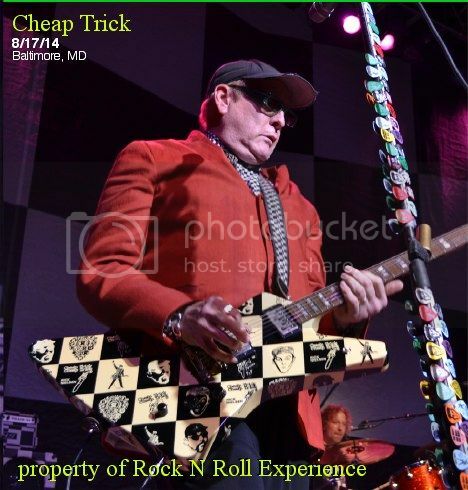 When Rick Neilsen proclaimed, “I Feel Like A Realtor In This Red Jacket.” it was clear you were at a Cheap Trick show! 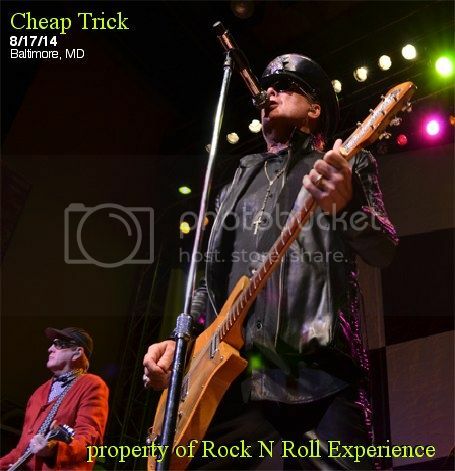 Cheap Trick in concert is a flashback to the 70’s where music was about girls, the sound was simply guitar/bass/drums, and every song had a chorus that you could sing along to. 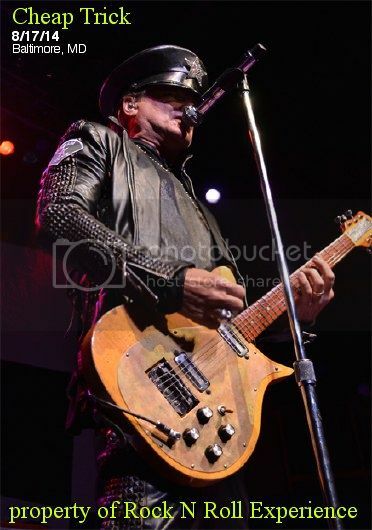 Robin Zander can still sing the same notes he did 40 years prior and for the most part the music of Cheap Trick remains timeless. Robin was decked out in black leather and looked very “metal” while Tom looked like a British rocker with his suede jacket, tinted glassed, & scarf. Rick is still the jokester of the band and tossed out atleast 200+ guitar picks on this night. Set wise they skipped “The Flame” and most of their 80’s material in favor of the classic material mixed with a few newer ones. The Fats Domino cover of “Ain’t That A Shame” was a highlight of the set where the entire crowd sang along but “I Want You To Want Me” was the song of the night which received the hugest crowd response. The show itself was not sold out and the upstairs of the club was closed off with just the concert floor being utilized. This show was far from packed with plenty of room to move about and while some might view that as a bad thing I actually enjoyed it because sold out shows are never fun when you’re elbow to elbow with people. There were no opening acts because this was billed as “An Evening With Cheap Trick”. The show started promptly at 8 PM and ended at 9:30 PM which made for an early ending to this Sunday night show. Overall I can’t say a bad word about the concert because Robin and the boys were thoroughly entertaining, they sounded great, they played almost everything you’d really care to hear them play, and it was a fun show.